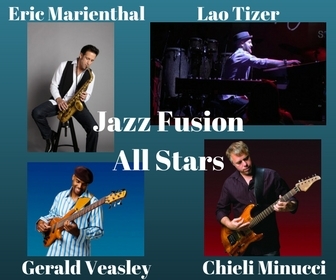 Bishop Arts Theatre Center’s Jazz Fusion All-Stars brings together four of some of the most accomplished jazz musicians. Eric Marienthal’s legendary saxophone, Lao Tizer’s electric piano playing, Gerald Veasley’s world-renowned guitar, and Chieli Minucci’s Emmy award-winning guitar ignite the air with their own various styles of jazz. This is an evening you won’t want to miss.